I say “How I got…” but this really is one of those social media stories. I am writing this down because I know I’ll forget the details in a couple of years and it’s nice to be able to look this up and remember. Last Saturday night the answer was: “Yes, RTL5 is broadcasting 127 Hours, where a guy gets stuck in the middle of nowhere while canyoneering.” I had wanted to watch this film for a while, but hadn’t got round to it. So I was genuinely excited. And it was good, right up to the point – and I assume this is common knowledge – when THAT scene happened. That scene where Aron, played by James Franco, frees himself by cutting of his right arm. I assume that the fact that this happens is common knowledge, because it caused quite a stir when the film was released. And my tv guide actually announced the “moving and disturbing” scene. Now I’m not one for gore in movies. I’ve never seen Saw. The only horror flick I ever tried to watch was The Fly 2 when I was a kid and that involved me walking away from the television whenever the (imagined?) gore became too much. But it was my choice to walk or look away. I like to have that choice. So I’m not someone that looks forward to a particularly sickening scene, but in this case it was an essential part of the plot of 127 Hours. Which they didn’t broadcast it all. All we saw tonight was a quick cut and he was free. This resulted for me in confusion: how on earth did he do that? And is this what all the fuzz was about? After tweeting my disappointment, and retweeting some other people who had discovered the same, I decided to write to RTL and ask why they made the cut and why they didn’t announce they would be showing an heavily-edited version of the film. Because while commercial breaks might be a part of commercial TV, skipping over the most important part of a film definitely shouldn’t be. At least not without notifying the viewers, I think. After sending the e-mail to customer service, I decided I might as well publish it on my blog. After all, I hadn’t really blogged all week and there were some lines I was proud of (humour, tone). This resulted in a couple of retweets on Saturday night and me hitting my daily average of visitors by 10:00 on Sunday morning. I was already quite excited by that. I told my father the next morning and while he too found it very strange they had made the cuts. End of story. End of story. Moving on. And then Dutch news desk ANP picked it up. This article went, as they say, viral. I felt rather proud. As an online strategist I like observing how these online stories happen and how they develop. To be part of one, felt quite nice. Especially because the article included one of my favourite bits from the rant. Because I worded it rather civilized, they could. And thus it spread like wildfire over the Dutch parts of Twitter for a good coupe of hours. Mostly because of the tweets of these news outlets, not because of my own Twitter reach. In the end, the traffic on Sunday came from these sources. The biggest part came via Twitter, some of it via Facebook (mostly friends and relatives I suspect) and the rest came via the website that linked to it. The article spawned some hilarious comments. Most commenters sided with me, some ridiculed me for still watching films on TV and some people just thought I needed to get a job, a serious relationship and maybe a degree and then have a try at real life again. I e-mailed my boss to ask whether he knew of any positions available. Eventually, RTL apologized for the cuts and promised to broadcast the full film at a later date. By Sunday night I was flattered with all the attention I had received, the traffic rush to my blog died down and I went to sleep thinking it was all done. It wasn’t. On Monday morning, the Dutch version of BBC News (NOS) published a background story on why the channel made the cut and has done so before (Black Swan was edited in a similar way the week before, apparently). RTL wants to broadcast the films for a big audience and therefore schedule it early in the evening. The cuts are necessary to allow this and are done “as a service” for the audience. Which is a hilarious comment on so many different levels, considering it’s not exactly “a service” to change a film so that it becomes confusing and an all-together different experience than had you watched it any other way. This article resulted in more views on my original and a follow-up blog (reflecting on the experience) and more tweets and Facebook shares. Most of the traffic on Monday comes via the NOS-website. Also, my LinkedIn-profile got more than 300% more views than normal. 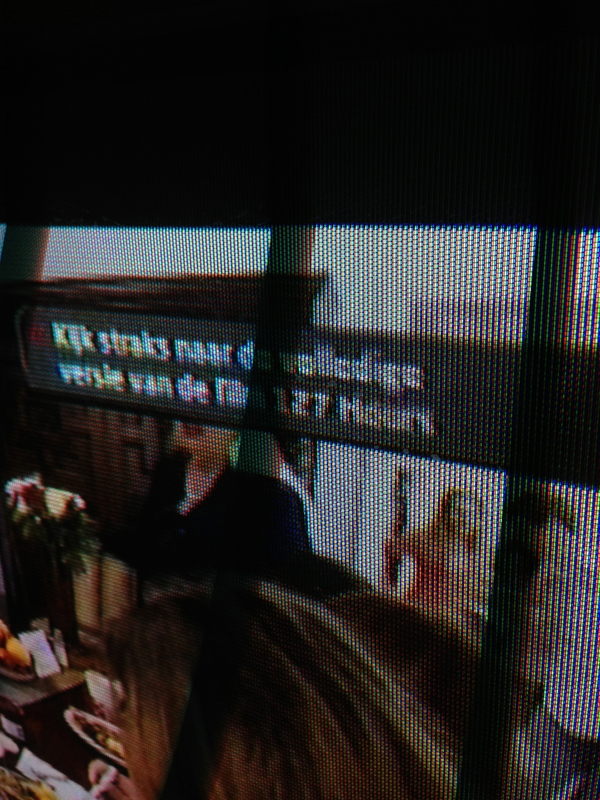 Which was all very nice, but nicest of all: it resulted in RTL broadcasting 127 Hours again on Monday night. Uncut. I finally got a reply from RTL customer service by late afternoon apologizing that they had upset viewers and that they would broadcast the film in whole on Monday night at 22:30 hours (after watershed), some 50 hours after the original broadcast. As I’m writing this, I’m watching the “complete” film on RTL5. No pop-up adverts for ‘Barbie’s Baby’ or any of those shows. No cuts. I helped change RTL’s TV schedule. If that doesn’t prove you can influence public opinion and take action via social media, I don’t know what does. Now, some people are complaining on Twitter that they’re not able to see the series finale of the probably very high-quality show Date My Ex (sweet justice, since I also complained about the crappy shows they advertised with pop-ups during the film). 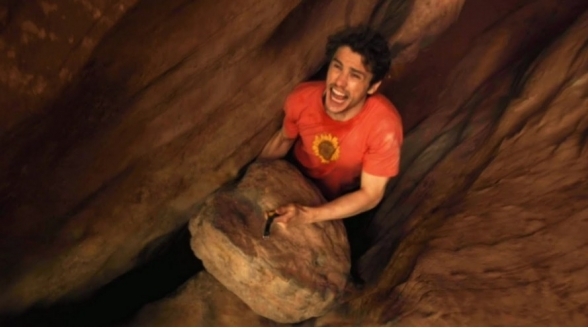 More people however, are impressed by RTL’s decision to broadcast 127 Hours again tonight. It will be interesting to see whether this airing resulted in more viewers for RTL (on Sunday night, less than 300.000 people watched the film because of heavy competition from comedians on NL1, RTL4 and a pop idol contest on SBS6). Of course, I would be lying if I said it was my intention to get RTL5 to change their TV schedule. But I definitely did want a response from the channel (an apology and an explanation). Thanks to some tweets, I got much more than that. I made RTL5 change the TV schedule. I did enjoy the ride, retweeting and responding to comments as I went along. But even if RTL have not learned their lesson, I made them back-peddle on this occasion. My letter made up almost 50% of the news article that caused the bigger outrage. 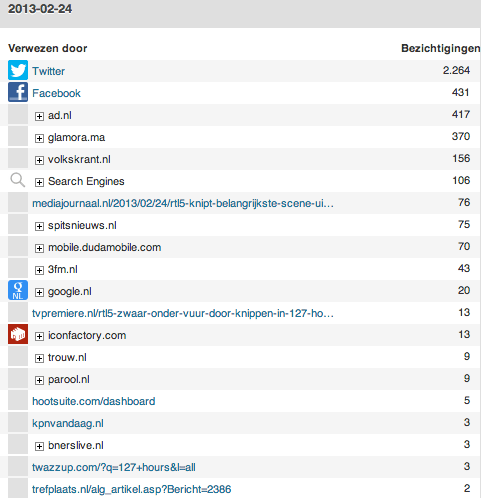 And analyzing the visitor statistics to my website, it did play a big part in the tiny storm it caused. But it was a big enough storm for RTL to change up their schedule. 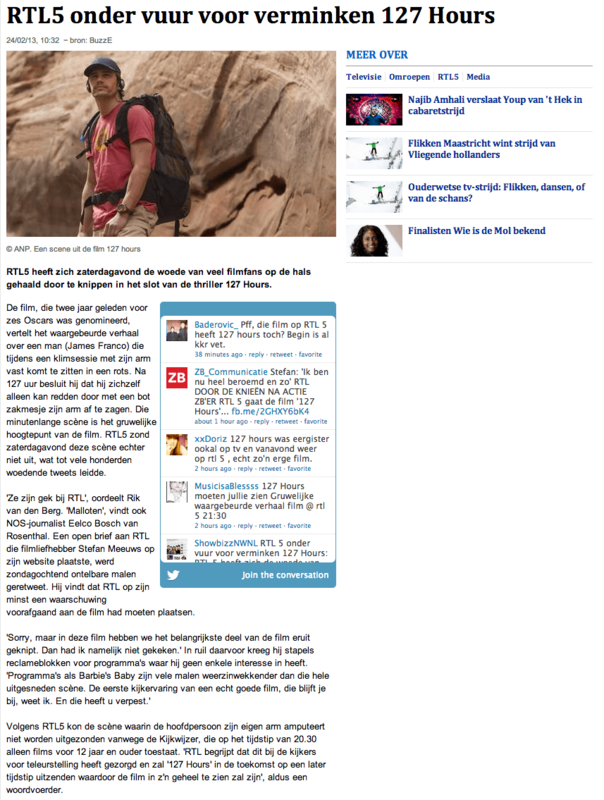 And that’s how I got RTL5 to broadcast 127 Hours twice in 50 hours’ time. Yes, there are bigger problems in the world. But small victories should be cherished. That’s what I’m doing right here. It felt a bit like this (except, you know, it was totally different). But the most important thing I’ve learned is that people still listen to each other on social media if you talk about something you care about. So let’s tackle some bigger issues now, shall we?